The Vancouver Art Gallery is pleased to launch Vancouver Special, a triennial exhibition surveying contemporary art in Vancouver. Co-curated by Daina Augaitis and Jesse McKee, Ambivalent Pleasures, the first iteration within this series, assesses the arts activity and discourse in the city over the last five years. Presenting works by forty artists, the exhibition encompasses a range of approaches and reinvigorated explorations of surrealism, abstraction, atemporality and conceptual practices. Free for Members or with Gallery Admission. Emily Carr University is delighted to share news that alumni Xwalacktun (’82) and Luke Parnell (MAA ’12) have been awarded BC Creative Achievement Awards for First Nations Art. This annual award celebrates artistic excellence in traditional, contemporary or media art. Emily Carr Honorary Doctorate recipient Susan Point, a Coast Salish artist from Musqueam, will receive this year’s Lifetime Achievement Award, an honour bestowed on individuals who have made a profound contribution to their First Nations culture. Members of the jury panel included: world renowned carver and teacher Stan Bevan; Aboriginal Program Director at Emily Carr University, Brenda Crabtree; the Museum of Anthropology’s Curator Emeritus, Bill McLennan; and celebrated curator and artist, Tania Willard. 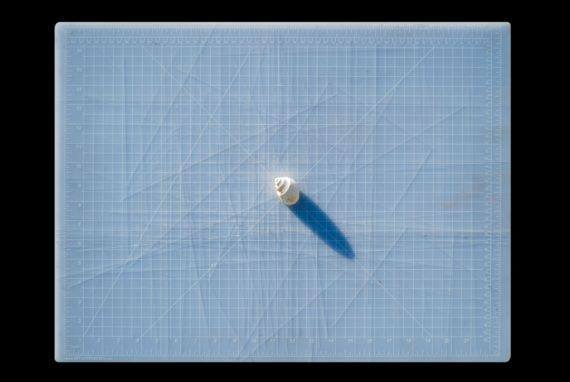 “Screens and Thresholds” considers the impact of mediation on our understanding of history and experience. Diverse works in photography, video, and installation are brought together to examine the anxieties and possibilities in visualizing cultural knowledge—from the limits of scientific objectivity, to the ways knowledge is transferred from one person to another, to the persistence of certain practices in changing circumstances. The exhibition highlights the processes of transformation, not simply their results; in this way, the works may be framed as “medial,” situated somewhere between a beginning and an end. 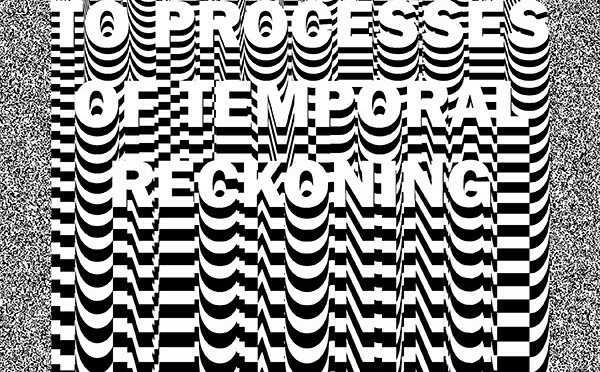 “Screens and Thresholds” features the work of Scott Benesiinaabandan, Tricia Livingston, Mike MacDonald, Karthik Pandian, Krista Belle Stewart, and the art collective Postcommodity. Raymond Boisjoly has exhibited widely across Canada and internationally. He received the 2016 VIVA Award and was also shortlisted for this year’s Sobey Art Prize. He is an Assistant Professor at Emily Carr University of Art and Design. Emily Carr University of Art + Design is pleased to share news that alumna Jeneen Frei Njootli has been awarded one of three William and Meredith Saunderson Prizes for Emerging Canadian Artists through The Hnatyshyn Foundation. The $5,000 prizes are intended to nurture emerging talent in the visual arts in Canada. Jeneen Frei Njootli is a Vuntut Gwitchin artist and a founding member of the ReMatriate collective. In 2012, she graduated from Emily Carr University of Art + Design with a Bachelor of Fine Arts and went on to a Visual Art Studio Work Study position at The Banff Centre, followed by two thematic residencies there. She recently completed her Master of Fine Arts degree from the University of British Columbia as an uninvited guest on unceded Musqueam, Squamish and Tsleil-Waututh territories. Performance artist, curator, fashion designer, workshop facilitator and crime-prevention youth-coordinator are some of the positions Frei Njootli has held while exhibiting across Canada. She has an upcoming solo exhibition at Macaulay & Co. Fine Arts in Vancouver, January 2017. Frei Njootli is from Old Crow, Yukon, and lives in Vancouver, British Columbia. Emily Carr University is pleased to share news that The Hnatyshyn Foundation has named alumnus Peter Morin (’01) as the recipient of the 2016 Visual Arts Award for outstanding achievement by a Canadian mid-career artist. The award is accompanied by a $25,000 cash prize. 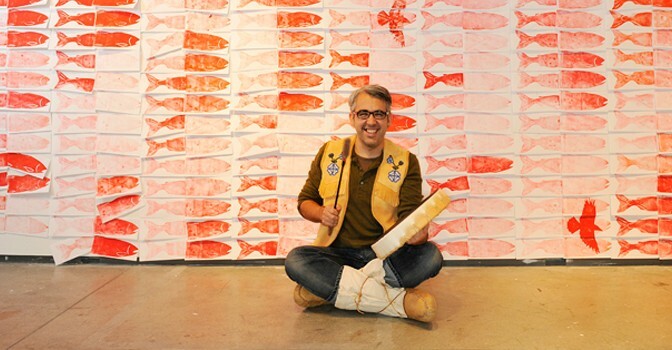 Peter Morin is a Tahltan Nation artist, curator and writer. He recently relocated from British Columbia to Brandon Manitoba where he joined the Visual and Aboriginal Arts Faculty at Brandon University. In both his artistic practice and as his curatorial work Morin investigates the impact between indigenous cultural -based practices and western settler colonialism. 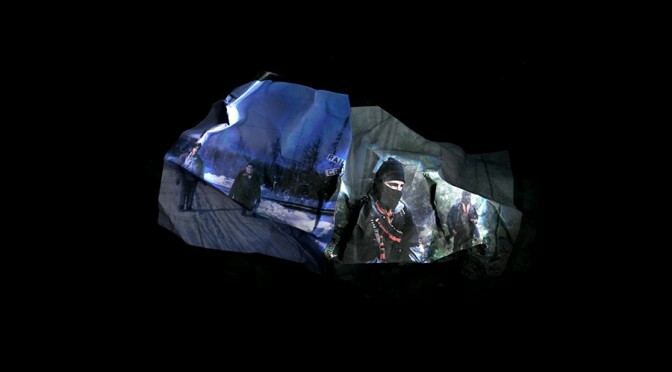 This work,defined by Tahltan Nation epistemological production, often takes on the form of performance interventions. Morin has participated in numerous group and solo exhibitions including Team Diversity Bannock and the World’s Largest Bannock attempt (2005), A return to the place where God outstretched hi s hand (2007); 12 Making Objects AKA First Nations DADA (12 Indigenous Interventions) (2009); Peter Morin’s Museum (2011); Peter Morin’s Ceremony Experiments 1 through 8 Circle (2013). 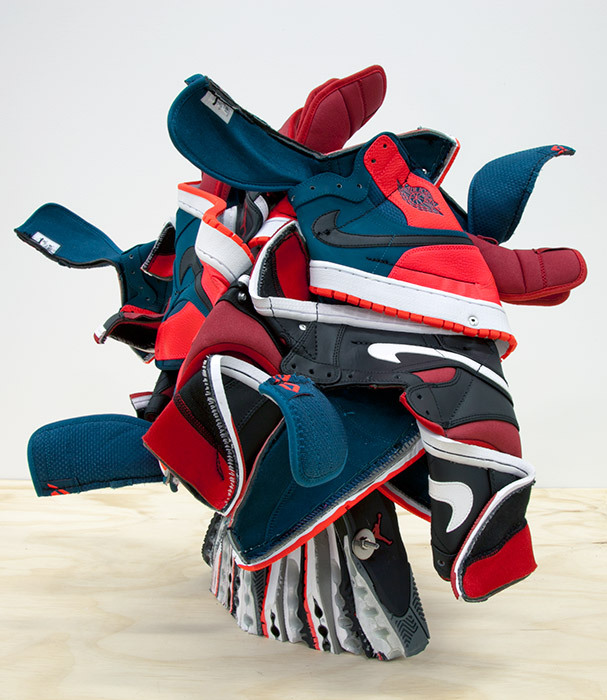 In addition to his art making and performance -based practice, Morin has curated exhibitions at the Museum of Anthropology, Western Front, Bill Reid Gallery, and Yukon Art Centre. Matter out of place and out of time. Raymond Boisjoly’s most recent body of work, Discrepants, circulates around textual figures of temporal and spatial displacements. It is presented together with the correlating series “From age to age, as its shape slowly unraveled…” and a related exterior artwork on the side of the gallery itself. This constellation of works considers Sculptures Also Die, a 1953 anti-colonial film by Chris Marker, Alain Resnais, and Ghislain Cloquet, which poetically articulates what occurs when we come to look at African statuary as simply aesthetic objects. Art is presented as a category convenient to western thinking through which immense things can be reduced to manageable dimensions. Boisjoly’s interest in the film Sculptures Also Die is in the way it mediates objects and focuses on how works by non-western peoples come to be understood as art. The work in the exhibition suggests the importance of looking at how this historical trajectory can be considered more broadly. From this general situation, and from his own specific position as an indigenous person, the artist considers that these same processes and transformations occur to the material of his own people. For historical example, totem poles of the Northwest Coast were cut down like trees and shipped to institutions all over the world, into a museological state they were never meant to be seen in. Materially, all of the works in the exhibition use commercial consumer printing services rather than art printing. From inkjet ink on adhesive backed vinyl, to UV ink on flat vinyl with grommets, to exterior vinyl on aluminum frame. 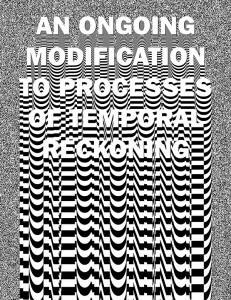 In order to foreground the existence of images culturally outside the bounded, if expanding realm of art, these printing methods concern the contingent character of art and its attendant practices. For the project of “From age to age, as its shape slowly unraveled…”, Boisjoly began with a technique he has used previously, playing a video of the film on an iPhone, placing it on a scanner, which attempts to capture the image as it is moving, which of course is futile. This strategy creates strange, distorted, partial images that are outputted to large, adhesive inkjet on vinyl murals that are applied directly to the gallery walls. These create an alternate relationship to the exhibition space, in that they cannot be taken off the wall and moved around. 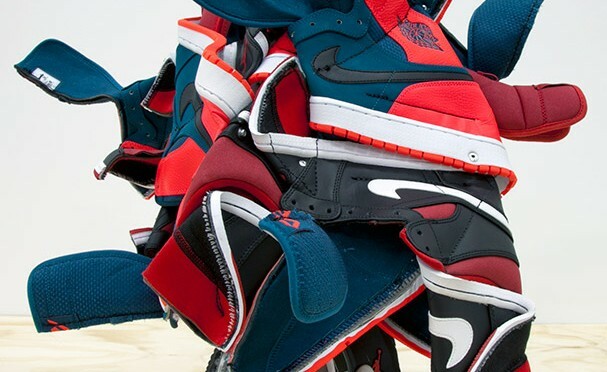 To take them off the wall is to ultimately change them permanently. 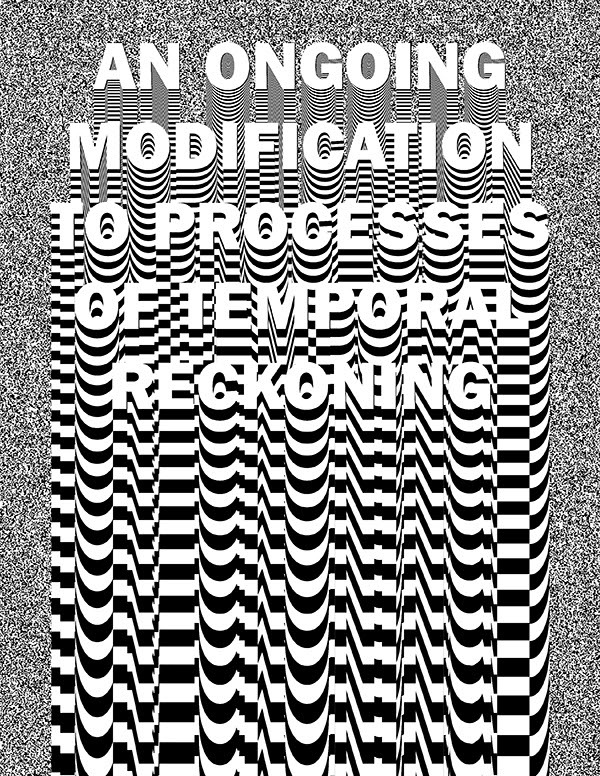 Instead of simply re-presenting historical images, this work draws attention to the method and time of its own altered transmission, implicating us in the creation of meaning in the present. In this, there is an anxiety of the visual, the “thing” is never presented to you fully. While there are things that can be named in terms of recognizable imagery, there is obviously missing information. The text in the Discrepants series functions as a kind of withholding, manifesting a differing anxiety about imagery. It uses ambiguous statements that are in effect reflections on the general premise of the printed images. They are an attempt to discuss, as opposed to leaving them as images or simply as pictures. They reflect the discursive aspect of the image, where the images cannot speak in that way, offering a different entry point to a shared concern. Surrounding the text, Boisjoly has incorporated images of clouds and television noise. As a complex aggregate, a clouds existence and form is determined as multiple parts coalesce, water droplets combining to form vapor, similar in structure to complex social and cultural phenomena. The artist asks us to consider the film as a model for discrepancy, how we can imagine the possibilities of difference, and the future of the discrepant. Twenty years since his last major Canadian solo show, Unceded Territories will demonstrate the progression of Yuxweluptun’s artistry and ideas through hard-hitting, polemical, but also playful artworks that span his remarkable 30- year career, featuring a selection of brand-new works exhibited publicly for the first time. Co-curated by Karen Duffek (MOA Curator, Contemporary Visual Arts & Pacific Northwest) and Tania Willard (artist and independent curator, Secwepemc Nation), Unceded Territories promises colour and controversy through this display of over 60 of Yuxweluptun’s most significant paintings, drawings, and works in other media – a critical and impassioned melding of modernism, history, and Indigenous perspectives that records what the artist feels are the major issues facing Indigenous people today. This exhibition will undoubtedly fuel dialogue, indignation, and even spiritual awareness as it tackles land rights, environmental destruction, and changing ideas about what we can expect of Indigenous art from the Northwest Coast. The issues Yuxweluptun addresses are impossible to ignore. Yuxweluptun, an artist of Coast Salish and Okanagan descent, graduated from the Emily Carr College of Art and Design in BC. Influential as both artist and activist, Yuxweluptun merges traditional iconography with representations of the environment and the history of colonization, resulting in his powerful, contemporary imagery; his work is replete with masked fish farmers, super-predator oil barons, abstracted ovoids, and unforgettable depictions of a spirit-filled, but now toxic, natural world. 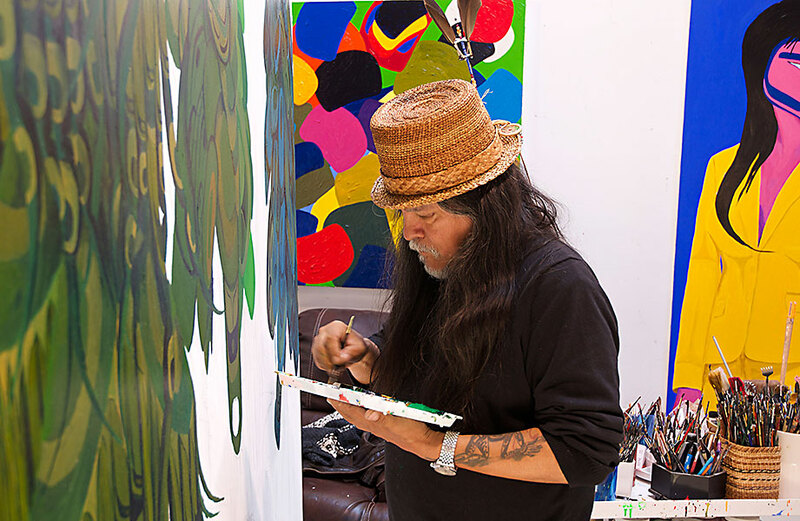 Highly respected locally, Yuxweluptun’s work has also been displayed in numerous international group and solo exhibitions, including the National Gallery of Canada’s special exhibition, Sakahàn: International Indigenous Art. In 1998, Yuxweluptun was the recipient of the Vancouver Institute for the Visual Arts (VIVA) Award. He was also honoured in 2013 with a prestigious Fellowship at the Eitelijorg Musem of American Indians and Western Art in Indianapolis, where his art was featured in an exhibition and book, and was acquired for the museum’s permanent collection. In some ways, this piece is inspired by my father Xwalaktun’s carvings and how the thunderbird and bear are relational to his work. I created the thunderbird and bear as the centre of my piece with an angled perspective, as if you are looking up at them. This piece is about my identity and how I have been affected by the people in my life and who I look up to. Closer to the ground, the piece becomes more obscure and abstract; a spirit representation. These abstractions are influenced by my lifelong interest in formline and Coast Salish artwork, as well as observation of organic landscapes and ecosystems. Although we never had a written language I view carving these abstractions as if writing poetry; obscuring and abstracting visual language and ideas to alter and create a different meaning. I spent most of my childhood and early adolescence learning First Nations form and design from my father, Xwalacktun, a master carver of the Squamish Nation. I developed my own techniques and artistic methodology after fully understanding the traditional foundation of his work. Materials I turn to are metal, red and yellow cedar, lighting, paint, fabrics and found objects to create installations, sculptures, paintings, and film. I have been given the unique opportunity to approach my art from the different perspectives provided by my complex ethnic background: Euro-Canadian, Coast Salish and Kwakwaka‘wakw, ethically I am responsible for representing the intrinsic values of my First Nations culture. My goal is to continually challenge non-Native and Native definitions and assumptions of what is traditional, spiritual and environmentally ethical. 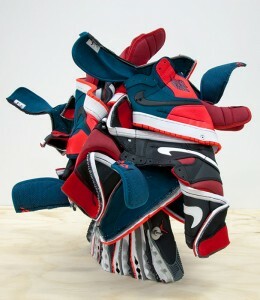 Drawing influence from urban and rural, and by Native and non-Native cultures. I explore concepts of community and identity, reflecting in the study of cultural theory. 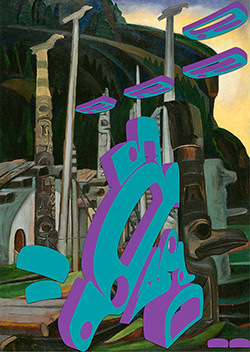 Through the combination of familiar symbolism of West Coast form-line, modern media and techniques, my work pushes the boundaries of First Nations cultural traditions and the way the world functions around the confines of these understandings. I want to broaden the place held by Native art and culture in the world of contemporary art.